“Thank You” Surprise Giveaway. 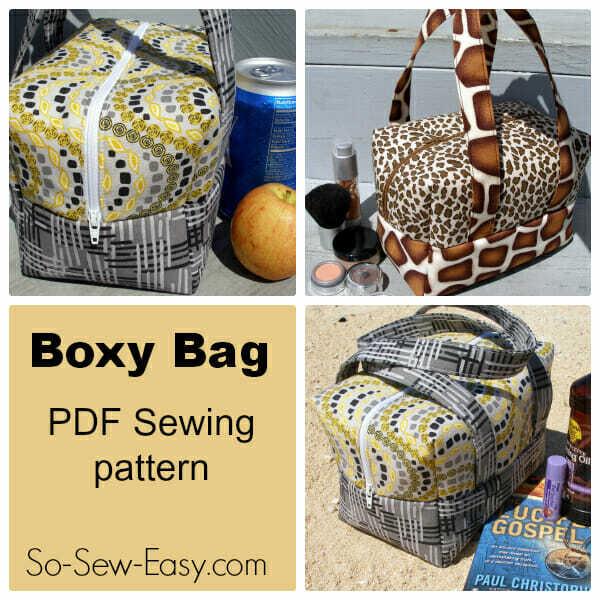 $6.95 Boxy Bag Pattern FREE Today Only! Unfortunately, THIS OFFER HAS EXPIRED. PLEASE CHECK BACK AND JOIN OUR MAILING LIST TO AVOID MISSING FUTURE GIVEAWAYS. Last week, we announced an exclusive offer that let our readers not only try Craftsy's new Bluprint service for free for a week but also enjoy the first full month for only $1! We wouldn't recommend the trial if we didn't think it was a good product, but we also were clear that when readers do this and use our link, we make a small commission and it costs our readers nothing. Doing this while helping us doesn't cost even a cent more, but we get a small commission which helps us continue to create new free sewing patterns and projects almost every week. To say thanks to everyone who participated, we'd like to offer you one of our most popular paid sewing patterns sold normally for $6.95, absolutely FREE. 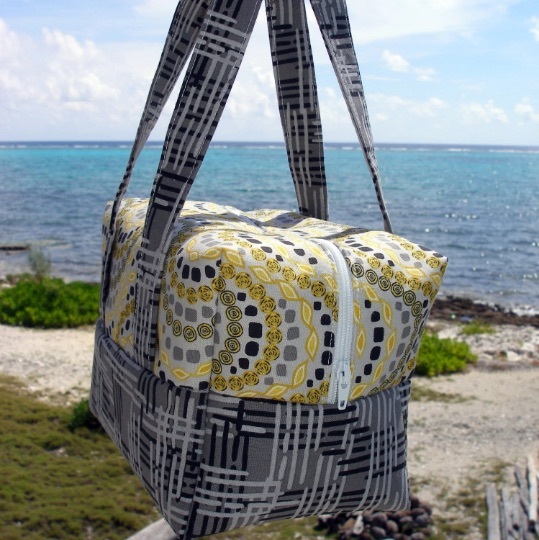 The Boxy Bag is one of our first and most popular paid patterns ever. It has been thoroughly tested with tons of positive feedback from the pattern testers as well as many of readers. It's suitable for beginners and would make a good first bag project. Here are just a couple of examples of the fabric choices you can choose to make this bag. The pattern has been well reviewed on Craftsy with a 4.7 out of 5-star rating and there are numerous example projects to check out. 63 Responses to “Thank You” Surprise Giveaway. $6.95 Boxy Bag Pattern FREE Today Only! Today is Sunday in New Mexico-August 19 and I am on the mailing list. What am I missing, lol? Back on track after computer-crash and ofcourse I missed this free bag-pattern…. well nothing to do about it just hope I don´t miss the next! Says it is sold out. What is advertised for free download for this pattern. How do I get the free download? o this is such a beautiful bag, so pitty i was on holiday till today and could not open my mails there.